The story of a family. The story of an empire. The story of a nation. 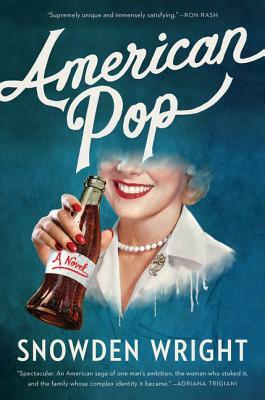 Moving from Mississippi to Paris to New York and back again, a saga of family, ambition, passion, and tragedy that brings to life one unforgettable Southern dynasty—the Forsters, founders of the world’s first major soft-drink company—against the backdrop of more than a century of American cultural history. The child of immigrants, Houghton Forster has always wanted more—from his time as a young boy in Mississippi, working twelve-hour days at his father’s drugstore; to the moment he first laid eyes on his future wife, Annabelle Teague, a true Southern belle of aristocratic lineage; to his invention of the delicious fizzy drink that would transform him from tiller boy into the founder of an empire, the Panola Cola Company, and entice a youthful, enterprising nation entering a hopeful new age. Now the heads of a preeminent American family spoken about in the same breath as the Hearsts and the Rockefellers, Houghton and Annabelle raise their four children with the expectation they’ll one day become world leaders. The burden of greatness falls early on eldest son Montgomery, a handsome and successful politician who has never recovered from the horrors and heartbreak of the Great War. His younger siblings Ramsey and Lance, known as the “infernal twins,” are rivals not only in wit and beauty, but in their utter carelessness with the lives and hearts of others. Their brother Harold, as gentle and caring as the twins can be cruel, is slowed by a mental disability—and later generations seem equally plagued by misfortune, forcing Houghton to seriously consider who should control the company after he’s gone. An irresistible tour de force of original storytelling, American Pop blends fact and fiction, the mundane and the mythical, and utilizes techniques of historical reportage to capture how, in Nathaniel Hawthorne’s words, “families are always rising and falling in America,” and to explore the many ways in which nostalgia can manipulate cultural memory—and the stories we choose to tell about ourselves. Born and raised in Mississippi, Snowden Wright has a B.A. from Dartmouth College and an M.F.A. from Columbia University. He has written for The Atlantic, Salon, Esquire, the Millions, and the New York Daily News, among other publications, and he previously worked as a fiction reader for The New Yorker, Esquire, and The Paris Review. Wright’s small-press debut, Play Pretty Blues, was the recipient of the 2012 Summer Literary Seminar’s Graywolf Prize. He currently lives in Atlanta, Georgia.